Category: Best Sellers Range, Birthday Range, Congratulations Range, Flowers for Mum, Get Well Range, Just Because Range, Romantic Range - Flowers for St Valentine's Day, New Baby Range, Thank You Range. 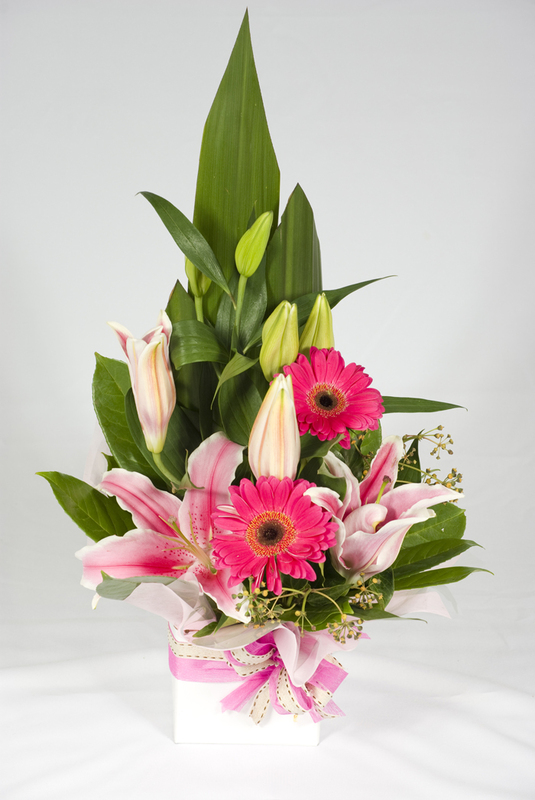 A simple display of scented Oriental Lilies and bright and cheerful Gerberas. This box arrangement is perefect for a birthday gift, get well and much more. A long lasting mix of wildflowers arranged in a box.